Another test, similar, but this time introducing a bevel, removing faces and the a sub-surf modifier. I found a clever way of modifying forms with only a few vertices too. 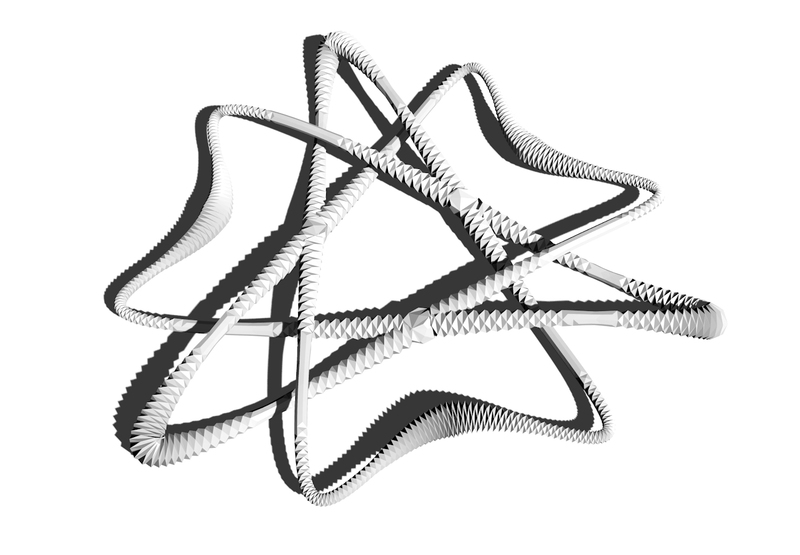 This shape was built with only 12 vertices, each of which are free to move while keeping the stack of modifiers intact. After I rendered the scene, I later decimated the model so that the mesh was not as dense. This way the surface geometry is acceptable for cutting and reassembly, all be it rage inducing.